We’re proud to announce that this year during Button Festival the third SAGA Awards with a total value of EUR 1500 sponsored by UBIT/WKO and Game Dev Graz will be awarded! This was the SAGA 2018. There will be five named finalists selected by an international jury for the Grand Prize. Finalists will be given free passes to the Button Festival and space at the festival to present their games. The Audience Choice Award will be voted at the Button Festival by the audience of the festival from the finalists. The Local Star Award will be awarded to the best game from developers from/living in Styria. The winners will be announced at the Button Festival. Criteria: The competition is also open for entries in the prototyping stage, and finalists will be mainly judged based on their potential. Submissions must include a 2-3 minute pitch-video including gameplay of the game. Games must be in a playable stage for the Button Festival and presenting the game live at the button festival. Open to all independent game developers worldwide. Award winners from previous years are not eligible for re-submission. SAGA Award :: Third Styrian Games Award will be presented at Button Festival! WHAT WE LEAVE BEHIND is a story-driven roguelike game with point-and-click adventure elements. The game is set in a fictional japanese city where time and space are out of balance. 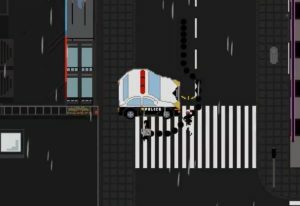 Thus, time only moves when the player moves and the characters and layout of the city change randomly everytime the player dies. 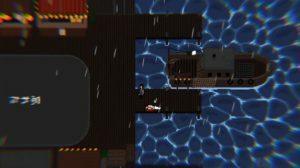 To escape this violent place, the player has to either sneak around enemies or fight them by combining items to create chain reactions. Furthermore, all characters have their own branching dialogue and talking to them may result in them joining forces with the player. Characters will remember how the player treats them and interacting with their storylines will have an influence on the final ending of the game. 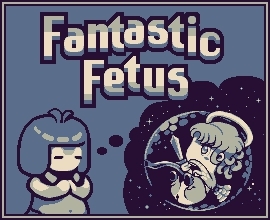 Fantastic Fetus is a pregnancy simulator in a Tamagotchi style, where you are taking care of a pregnant woman and create your own dream fetus with SUPERPOWERS. 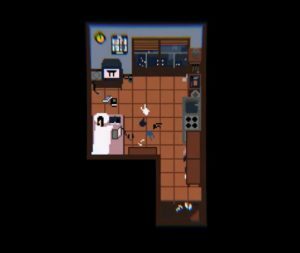 You as a player will be able to create an enormous number of unique customised fetuses and unlock 6 different endings according to your decisions. Fantastic Fetus is inspired by the Black Protest movement in Poland which was provoked by the new proposition of reproductions laws created in 2016 – the anti-abortion bill. Polish reproduction laws are next to Malta the strictest anti-abortion laws existing in the European Union. This game will let you experience a female perspective. Sikanda is a 3D top-down Action-Adventure with RPG elements, inspired by famous Japanese SNES classics of the 90s. The game takes place on a fantasy island called “Galintrea” and tells the story of a young hero who incidentially found an ancient pendant named “Sikanda”. Throughout the adventure, the hero acquires several skills for “Sikanda” to transform it into powerful weapons and tools. All of them are invaluable instruments in order to fight their way through dungeons and encountering fierce enemies. As the very existence of the island gets threatened by a group of sinister strangers, the hero not only will have to accept that “Sikanda” is the only way to stop them but also that there is a connection between their world, the ancient relic and the hero’s own fate. Join 3 friends in an arcade-platformer game like those you used to play in the arcade rooms. Every character has different abilities and there are different weapons to unlock and upgrade. You’ll also fight giant monsters at the end of each world, beat them and reach the final boss before the time goes up and the curse becomes permanent!